Ministering in Honor-Shame Cultures releases today. Many a Westerner has had a cross-cultural experience of honor and shame. First there are those stuttering moments in the new social landscape. Then after missed cues and social bruises comes the revelation that this culture―indeed much of the world―runs on an honor-shame operating system. When Western individualism and its introspective conscience fails to engage cultural gears, how can we shift and navigate this alternate code? And might we even learn to see and speak the gospel differently if we did? In Ministering in Honor-Shame Cultures Jayson Georges and Mark Baker help us decode the cultural script of honor and shame. What's more, they assist us in reading the Bible anew through the lens of honor and shame, often with startling turns. 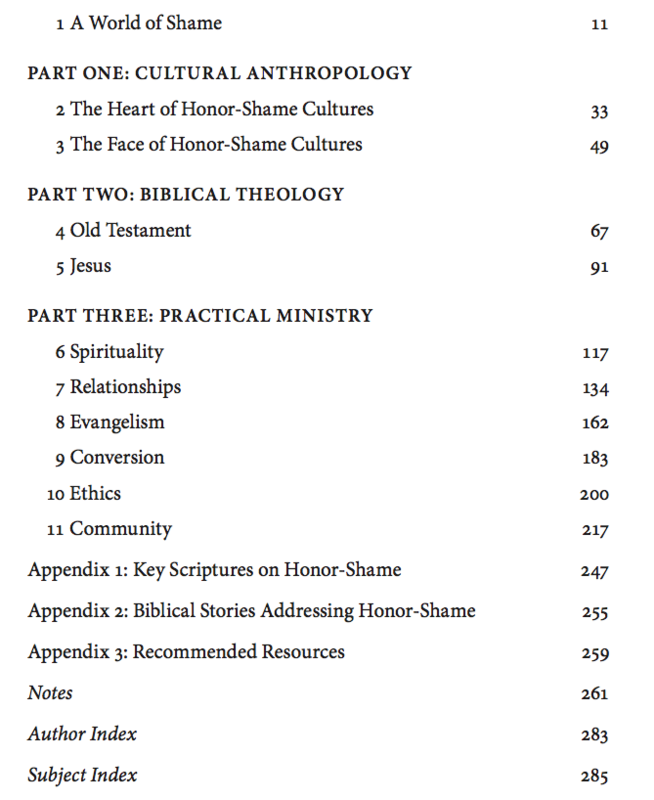 And they offer thoughtful and practical guidance in ministry within honor-shame contexts. Apt stories, illuminating insights and ministry-tested wisdom complete this well-rounded guide to Christian ministry in honor-shame cultures. Jayson Georges (MDiv, Talbot) lived in Central Asia for nine years doing church planting and micro-enterprise development. He is the author of The 3D Gospel and blogs at HonorShame.com. He serves with an evangelical organization, developing tools and training for Christians working in honor-shame contexts. More here. Georges and Baker have taken the seeds of previous work on honor and shame in the environment of the biblical world and in modern cultures and cultivated them into fruitful insights and guidance in the areas of theology, cross-cultural engagement and, especially, missions. Every message bearer working in non-Western cultures needs to read and apply the insights and principles of this book if they are to avoid the typical cultural blunders too often committed by too many. Within are crucial insights for effective cross-cultural ministry. Building responsibly on biblical and anthropological foundations for understanding honor and shame cultures, the authors offer practical reflections on how to engage honor-shame societies in the work of intercultural mission. The text is full of examples that help the reader understand how differently honor-shame codes play out in the understanding of salvation and discipleship. … Sherwood and I strongly recommend this book.